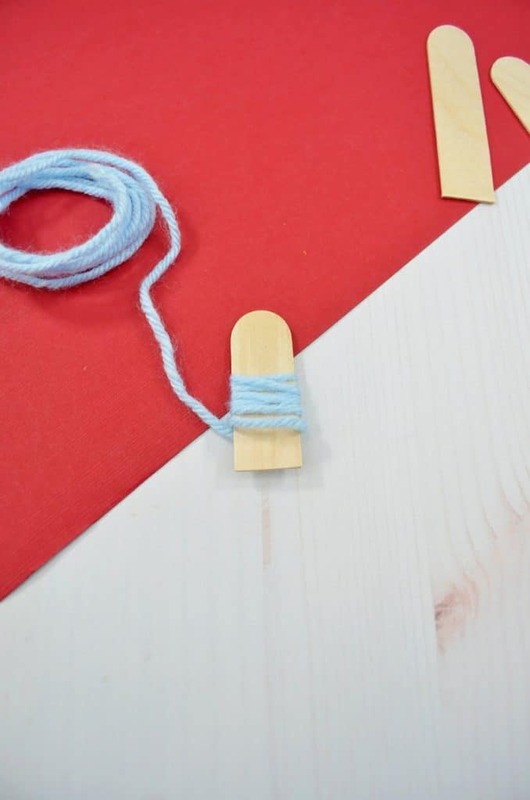 Do you like making Christmas ornaments with your children? Ornament making is one of our favorite December past times at my house. In fact one year my kids made so many ornaments that we bought a cheap extra Christmas tree from the “seconds” area of the tree lot to hold all their homemade ornaments! Since then, I’ve learned to encourage gifting ornaments at Christmas time! 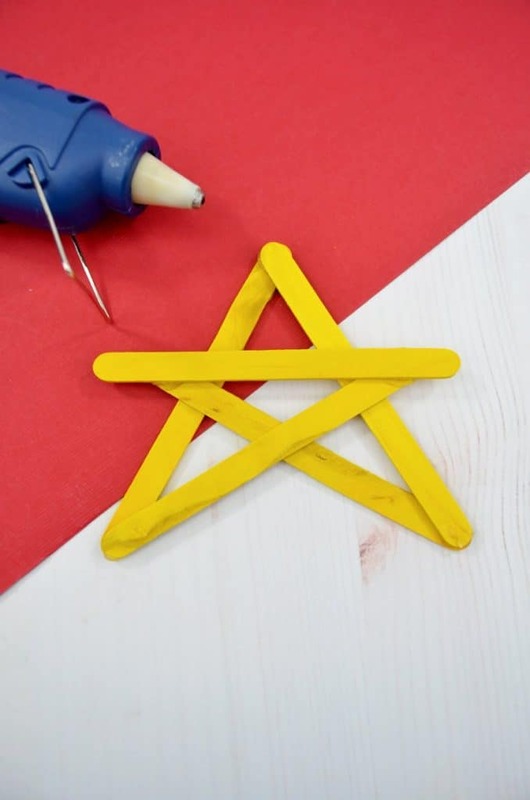 Hot glue the five regular craft sticks together at the points to form a star. 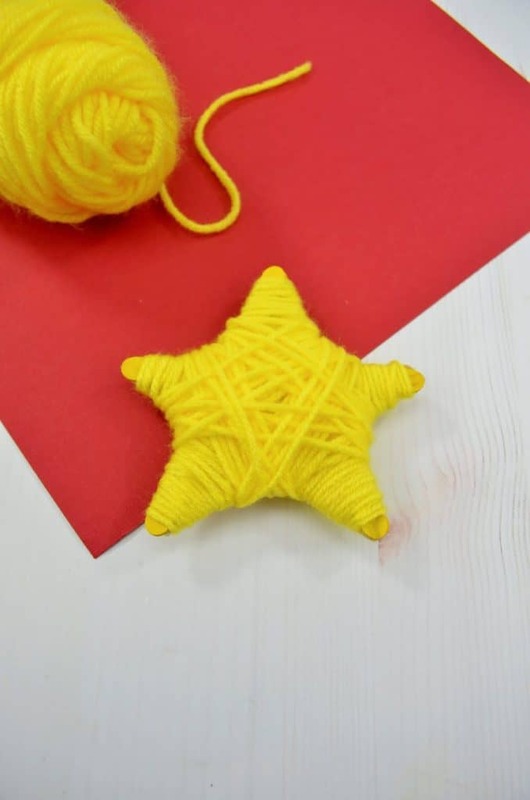 Generously wrap the star in yellow yarn, securing it to the back with a knot or use some hot glue. 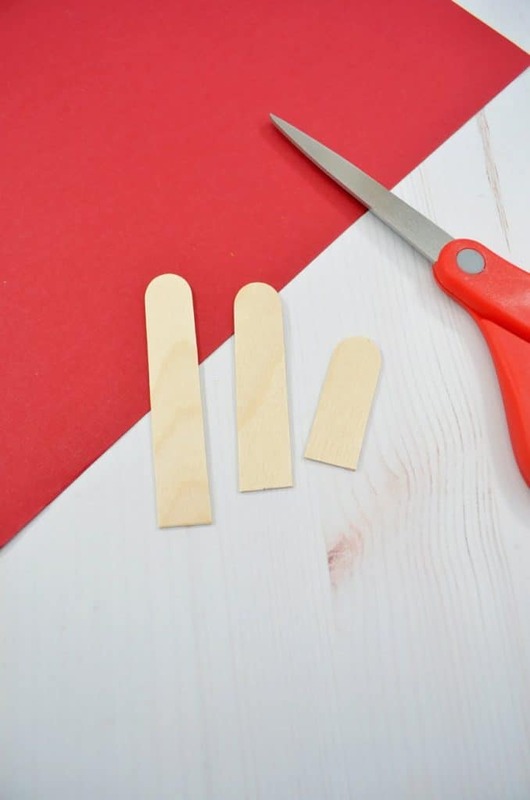 Next take the jumbo craft stick and measure about 3.5 inch piece, and cut with the scissors. This will be Joseph. 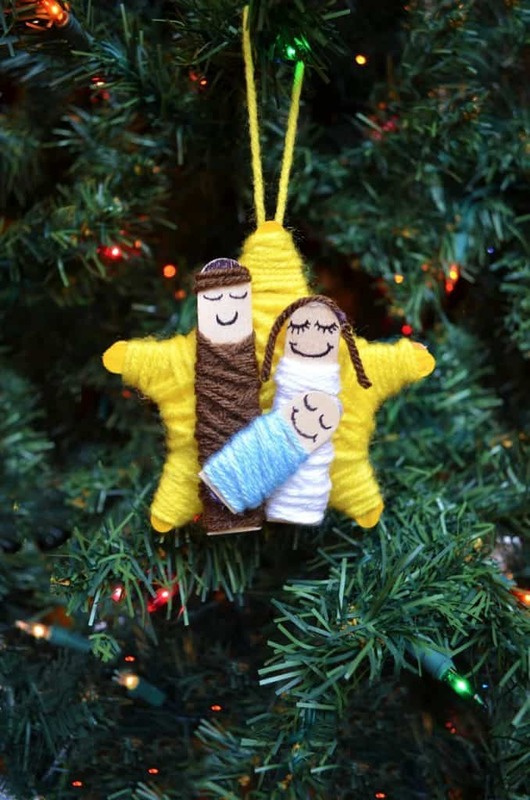 Also cut a Virgin Mary to 3 inches and a Baby Jesus to 2 inches. 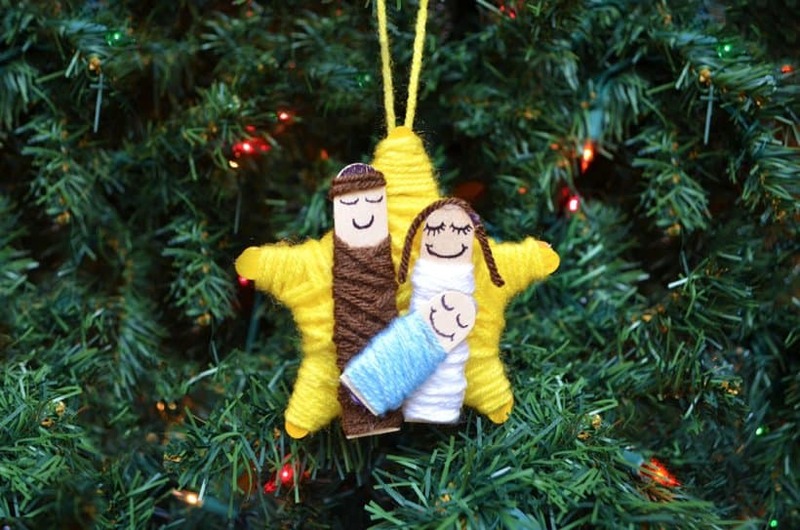 Take the shortest (Baby Jesus) craft stick and wrap it, starting about 2/3 of the way down,with the baby blue yarn. Then secure it at the back. 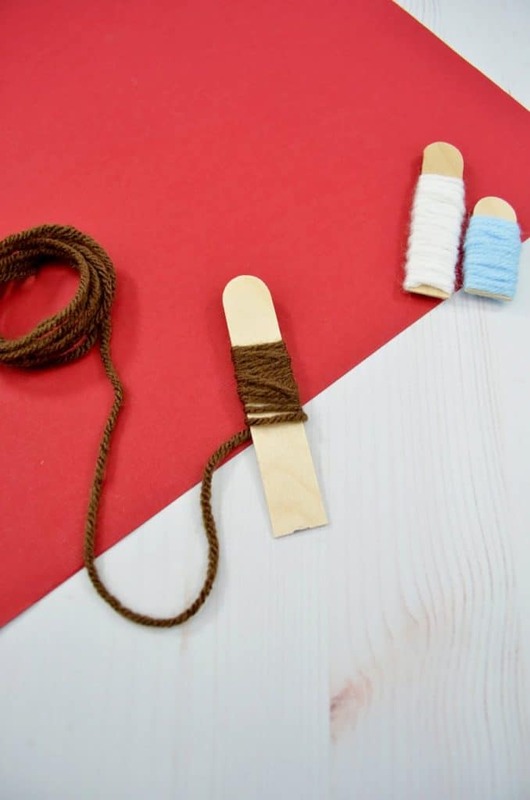 Repeat the wrapping step with the medium (Mary) 3 inch craft stick piece using white yarn. 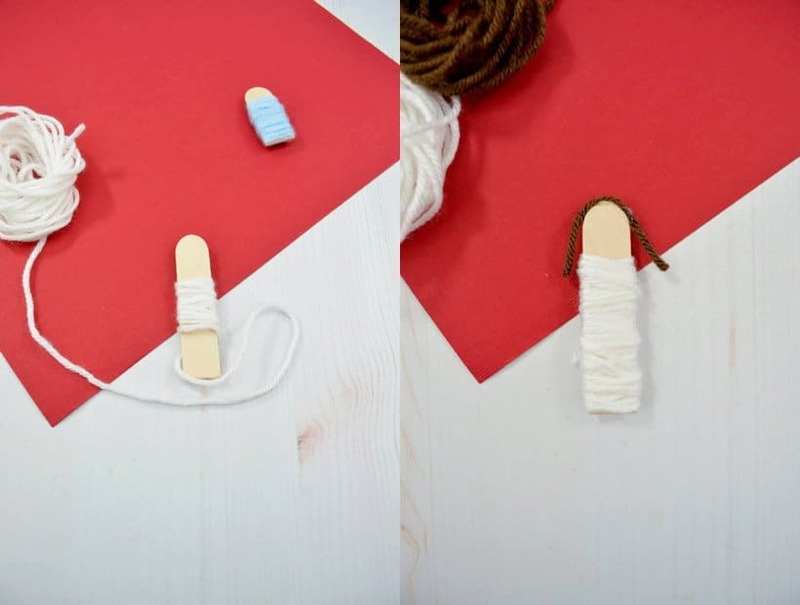 Also glue on a little piece of brown yarn for the hair. 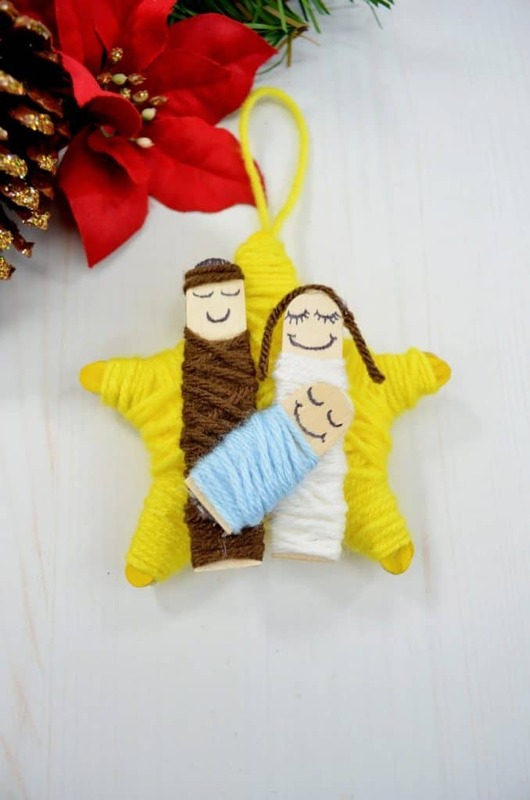 Finally wrap the largest (Joseph) 3.5 inch craft stick piece with the brown yarn as you did with the other two. Use a marker or pen to add eyes and smiles. 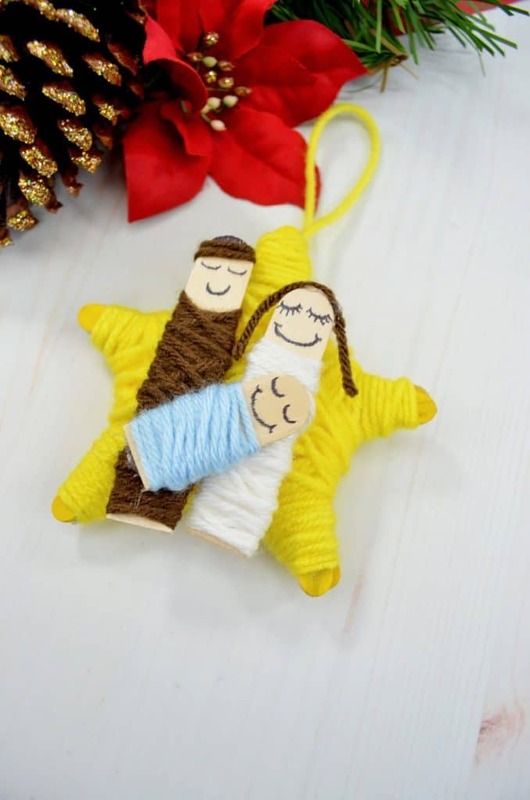 Then attach to the star with a generous amount of hot glue to Joseph, Mary, and Jesus. 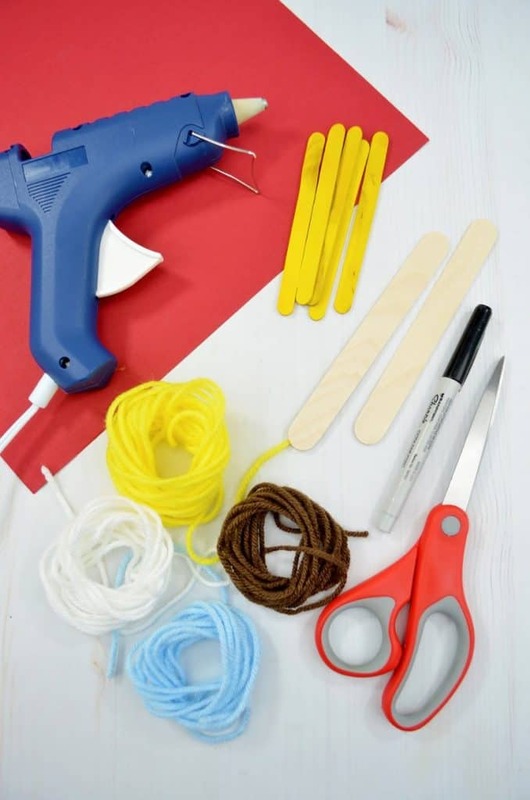 Be sure to hold the pieces securely until the glue cools. Isn’t it adorable? 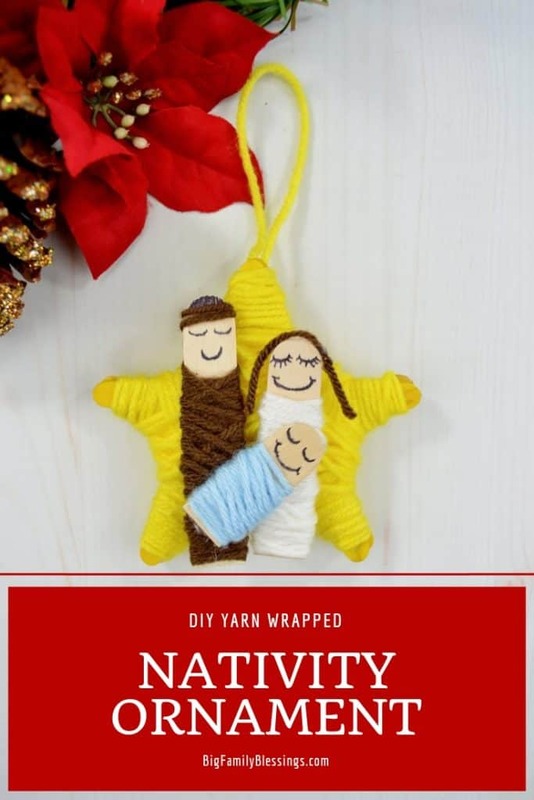 This DIY Yarn Wrapped Nativity Ornament is the perfect addition to our Christmas tree this year! 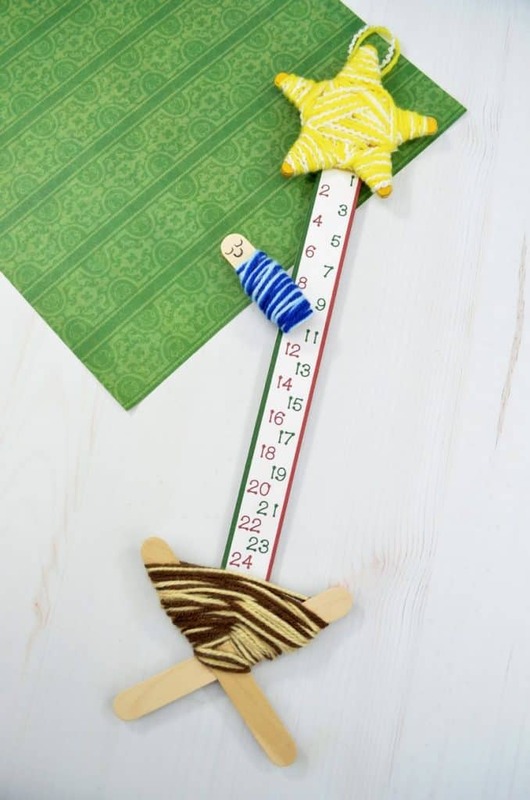 If you love this ornament, you are sure to love my DIY Nativity Advent Countdown Calendar. If you’ve already gotten the supplies for this ornament, you’ll have almost everything you need for this one too!